Looking through my files, I realized that, when this page originally ran in 2005-ish, I’d done an entirely different version of it. 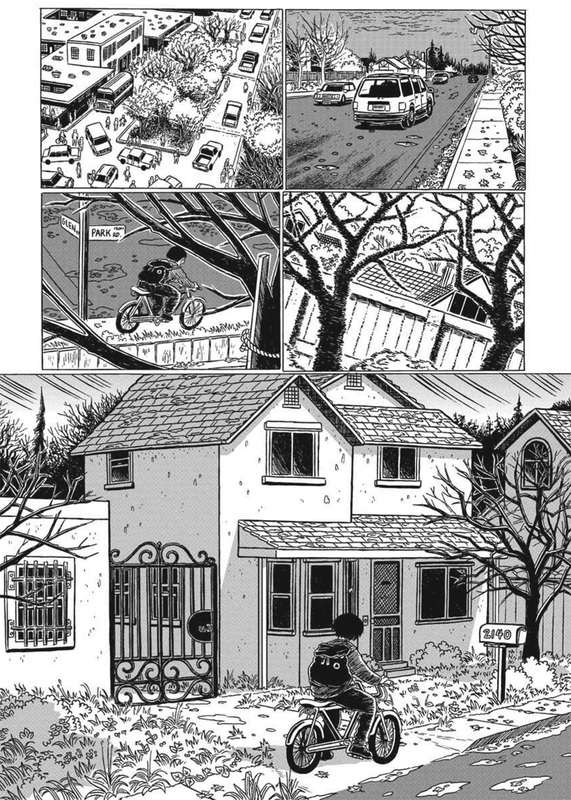 The existing page you see here was created later, in 2006, when I tidied up Chapter 5 for publication as a minicomic. (I used to make The Stiff minicomics for conventions, but I stopped after awhile — the 40+ page chapters were too big to print economically at local print shops in small quantities.) The original page wasn’t as good and added an unnecessary element, so I decided to just jump straight ahead, to Jamie arriving at Alice’s house. Although maybe I’ll post up it and other alternate pages for filler someday…?